Mustang MS-185 Floater Suit. Purchased a few years ago for the food fishery. In good condition. 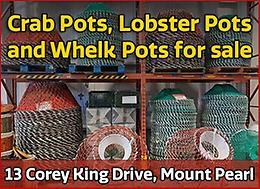 41 crab pots for sale and 26 crab pot frames. $300 for the pots or $450 for the pots & frames.